As technology has advanced, migrating to a new iPhone from an old one has become easier. Yet, the two methods have remained constant over the years. They are transferring data from your old iPhone to your new iPhone by restoring either an iCloud or iTunes backup. The reason they are the two most preferred methods of moving data from one device to another is because they are reliable. But this doesn't mean that they don't have shortcomings. 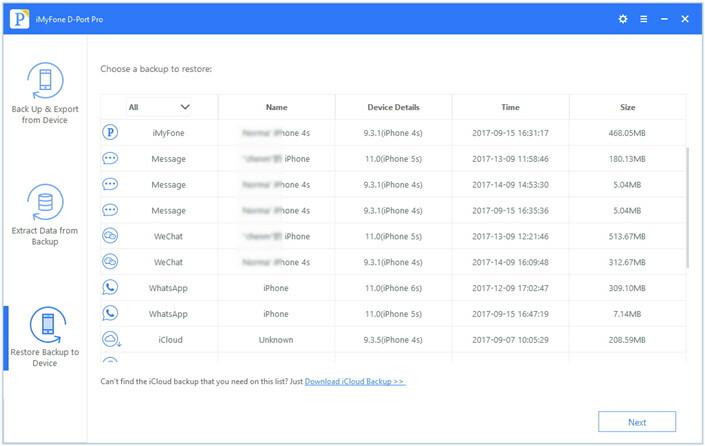 One of the most important disadvantages of using iCloud and iTunes to migrate to a new iPhone is that you can select the type of data to transfer. You can only transfer all your data. In this article, we offer you an alternative solution. One that allows you to select the type of data you want to move to the new iPhone. 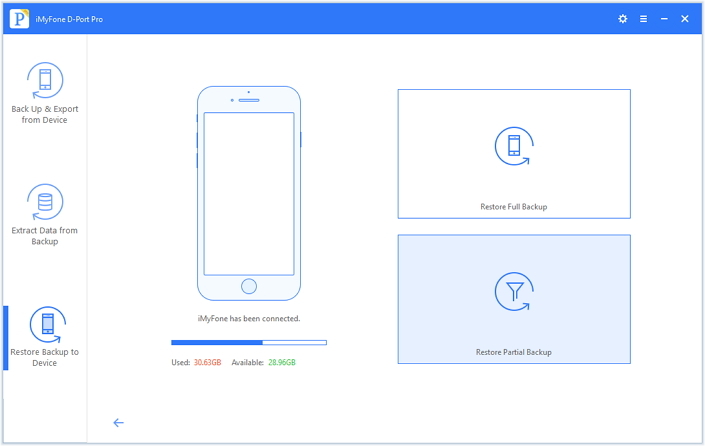 If you'd like more control on how you backup and restore the data on your device, iMyFone D-Port Pro offers you the control by allowing you to easily backup and restore all the data on your device or selectively backup or restore data on your device. The following are just some of the program's features. 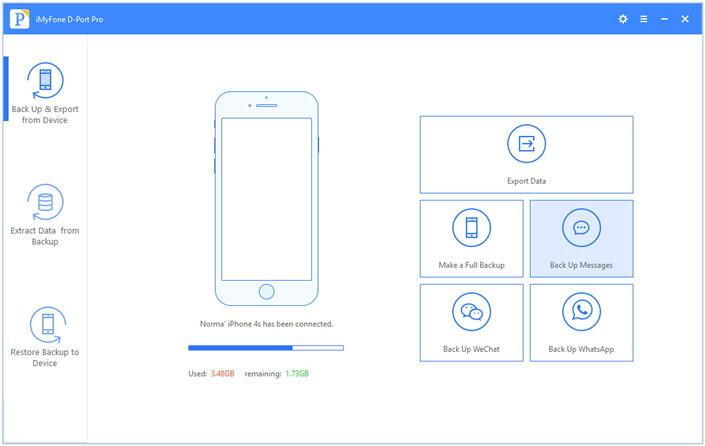 Extract up to 20 different types of data from the iPhone or backup files. 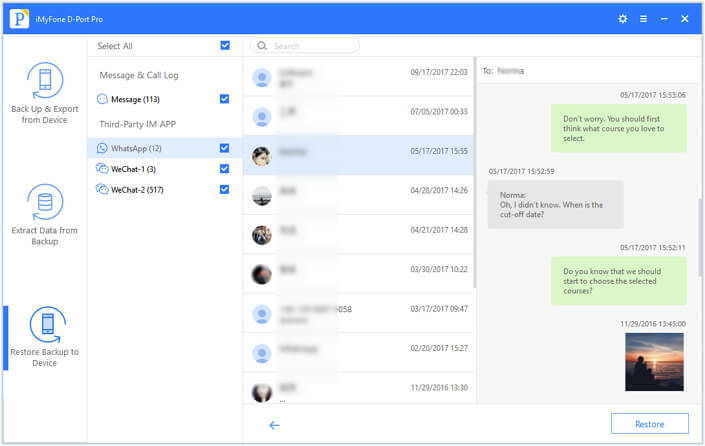 If you'd like to only backup the messages on your device, iMyFone D-Port Pro can help you do that. Simply follow these steps. Step 1: Install the program on to your computer and then launch it. From the main window, select "Back Up & Export from Device" and then select "Back Up Messages." You may be prompted to connect the device to your computer if you haven't already done so. Step 2: Click "Back Up" in the next window and the program will immediately begin backing up the messages on your iPhone. 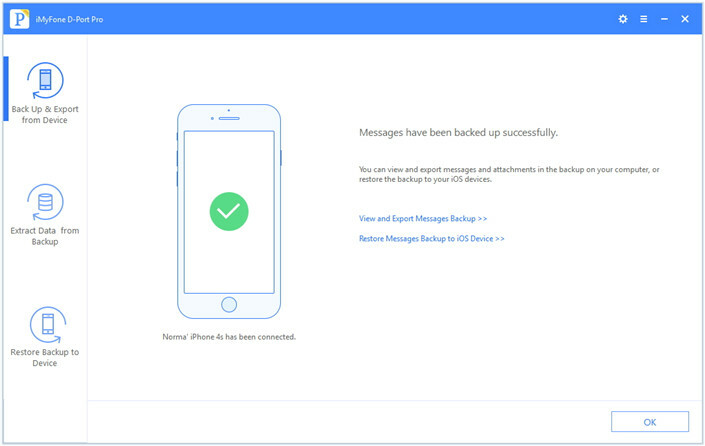 Once the process is complete, you will be notified that your messages have been successfully backed up. 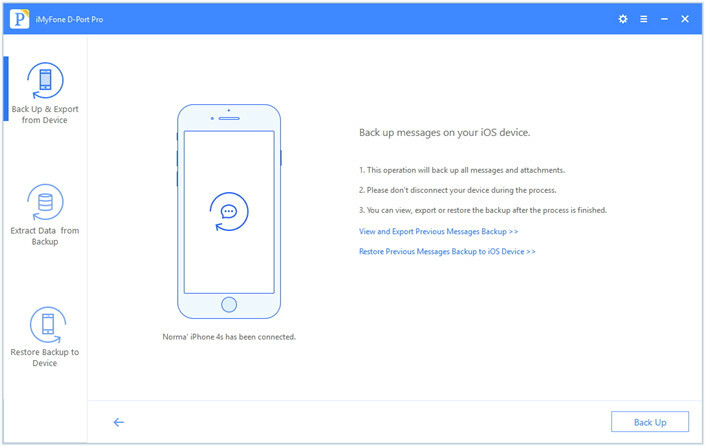 You can restore these messages to your iPhone at any time, using these simple steps. Step 1: In the program's main window click "Restore Backup to Device" and then select the backup that contains the messages you want to restore. Click "Next." Step 2: The program will take some time to scan the backup selected for the messages. 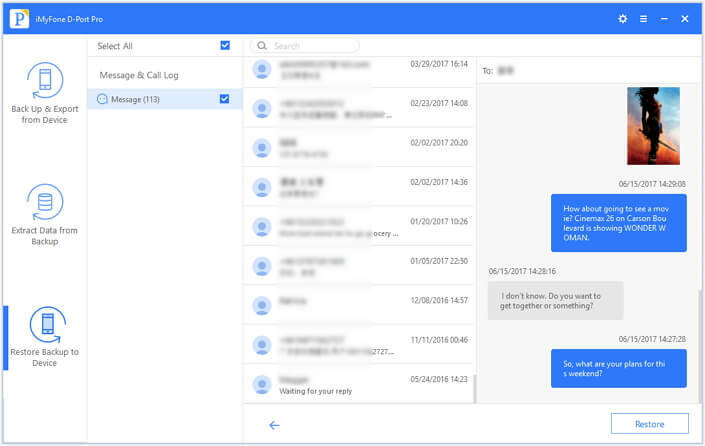 Once the scan is complete, the messages will be displayed in the next window. 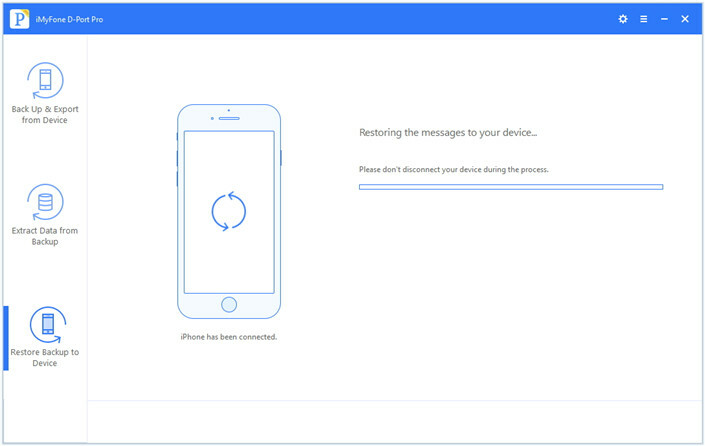 Step 3: Select the ones you'd like to restore back to the device and click "Restore." The program will begin the restore process and you should see a notification that the process is complete. You can also choose to selectively restore data from one of your iTunes backups. 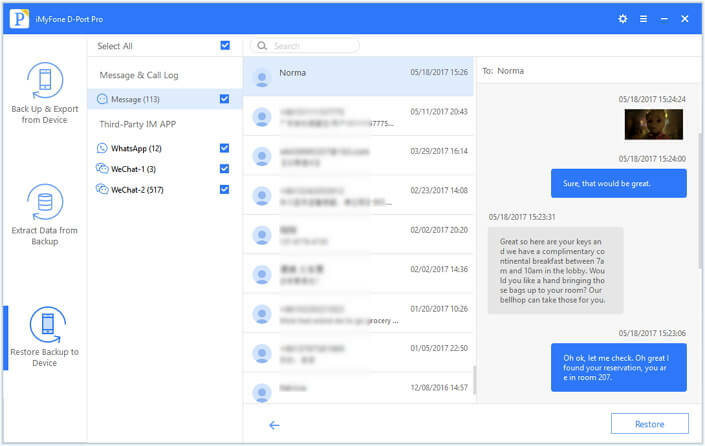 Here's how iMyFone D-Port Pro can help you do that. Step 1: on the program's main window, select the option "Restore Backup to Device." Then choose the most relevant iTunes backup from the list of backups presented. Step 2: Click on "Restore Partial Backup" and then click "Next." 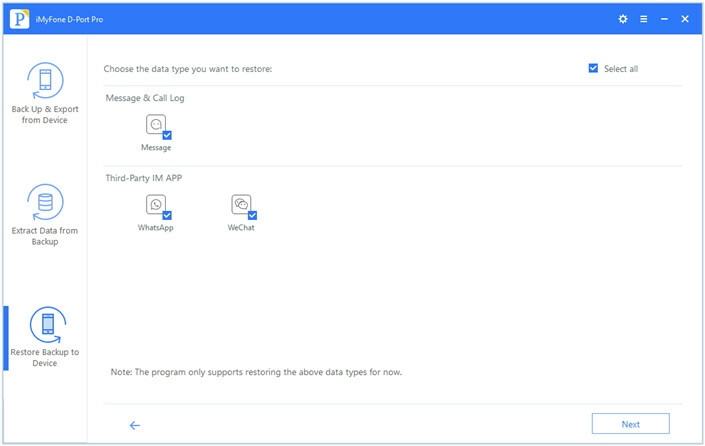 Step 3: The program will prompt you to choose the type of data you want to restore. Select the data you need and then click "Next" to continue. Step 4: The program will then scan the backup for the data you need and display results in the next page. Select the data you need and click "Restore." 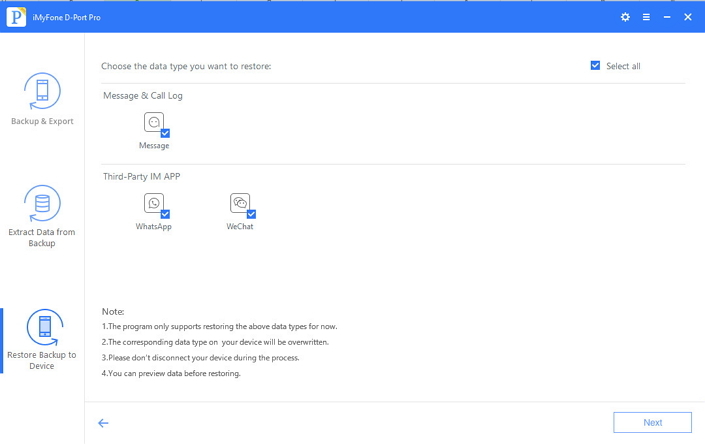 Step 5: The program will restore the data to your device and notify you when the process is complete. 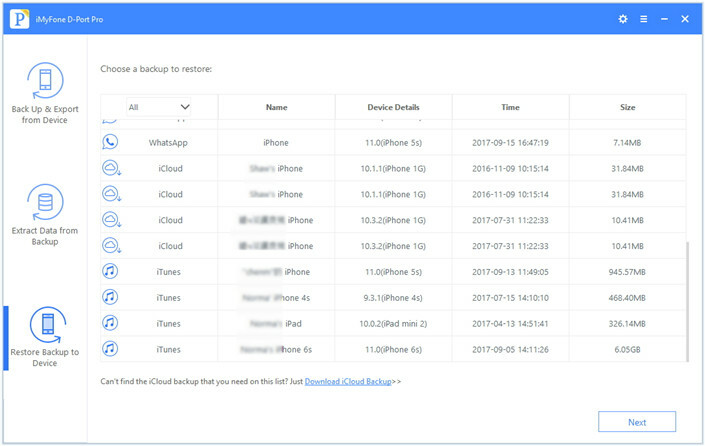 Step 1: Select "Restore Backup to Device" and if the iCloud backup is not on the list of backups, click "Download iCloud Backup." Step 2: Log in to your iCloud account and select the one you need. Click "Next" to choose the types of data you need from that backup and then click "Next" to download and scan the selected backup. Step 3: The program will then display the data in the next window. Preview and select the types of data you need and then click "Restore." 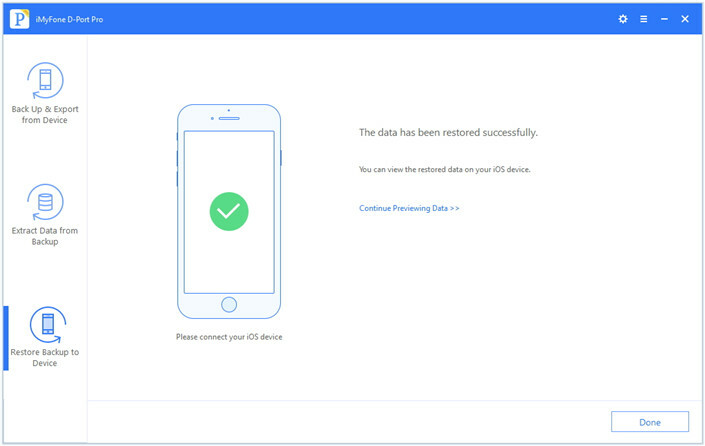 Step 4: The program will begin restoring the selected data to your iPhone and will notify you when the process is completed. Now your data has been migrated to your new iPhone.